A classic favorite. 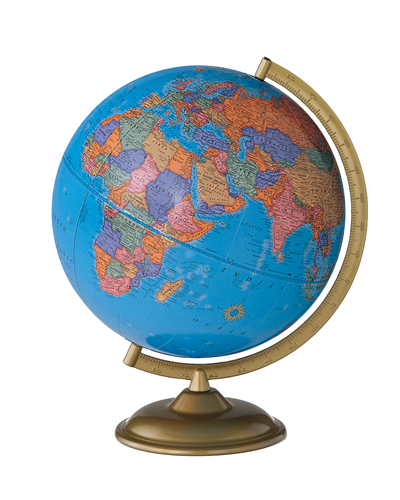 This 12 inch blue oceans globe features a raised relief pattern. The semi-meridian and base are a durable champagne toned metal.